Thiago Gaia is a mixed martial arts (MMA) fighter and Brazilian jiu jitsu black belt under Marco Barbosa, having spent most of his lower belt career under the tutelage of Leonardo Vieira. 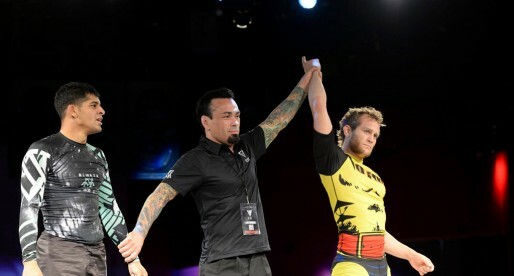 Regarded as one of the hottest prospects in the sport since his purple belt campaign (2009/10), Gaia confirmed his talent as a black belt medalling in some of Brazil’s top tournaments, particularly in Sao Paulo’s No-Gi grappling scene. Thiago Gaia was born on the 25th of March,1990. Although his family is historically from Ilhabela, an island located just off the coast of São Paulo, Thiago was born in the state capital. This was so his mother could receive adequate care during the birth of Thiago due to his being a risk pregnancy. The Gaia family returned to Ilhabela shortly after the birth of Thiago. At the age of 8 Thiago’s mother enrolled him in a judo club in an attempt to ease off her son’s hyperactivity. The success of this experiment meant that from their on Gaia had a busy sporting life, playing football (soccer), swimming, sailing and at the age of 10 jiu jitsu, with coach Rezende. In the very beginning, Thiago’s motivation to start training jiu jitsu was Price FC, particularly the performances of Antonio Rodrigo Nogueira in the ring of the famous Japanese MMA promotion. At first BJJ was just a game, something followed half heartedly, but as Thiago turned 15 he started focussing more in his training and developing a taste for competition. 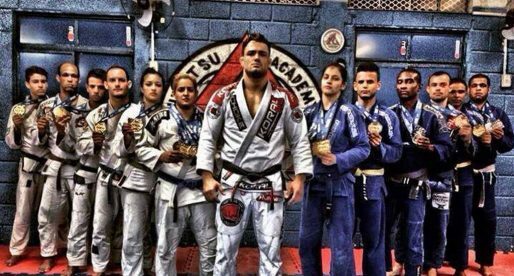 At the age of 16 Thiago was promoted to blue belt by coach Nelson who ran an affiliate gym of the TT academy in São Sebastião. 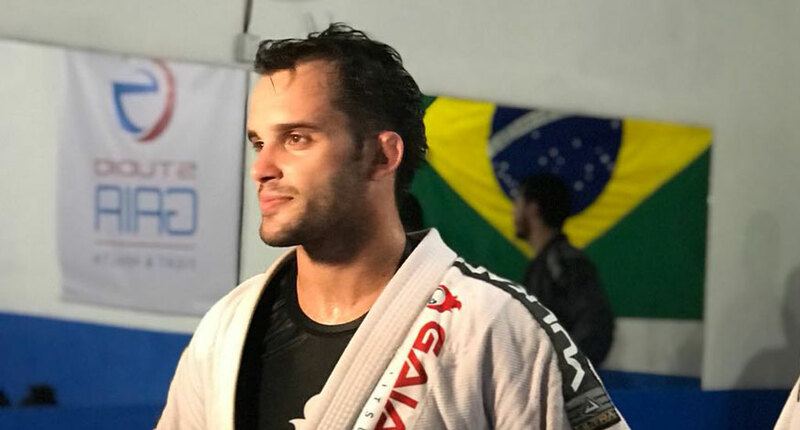 Gaia’s desire to improve and be the best grappler he could be, led him to move to the capital – São Paulo, in order to train at the TT headquarters where names such as Cobrinha, Eduardo Telles, André Galvão, Tererê and Marcelo Mafra trained. TT ended up falling due to the demise of its leader. Thiago then found Leonardo Vieira (Brasa and later Checkmat) who was Gaia’s coach throughout his formation years, grading him with his purple and brown belts. With most of Checkmat’s competitive team moving across to the US at the turn of 2010, Gaia was left with no choice but to seek a more viable option for his career. Seeking also to expand to MMA, Thiago moved to B9 of Marco Barbosa, while preparing for MMA at Chute Boxe Diego Lima. It would be Barbosa who awarded Thiago his black belt on the 7th of December, 2012.